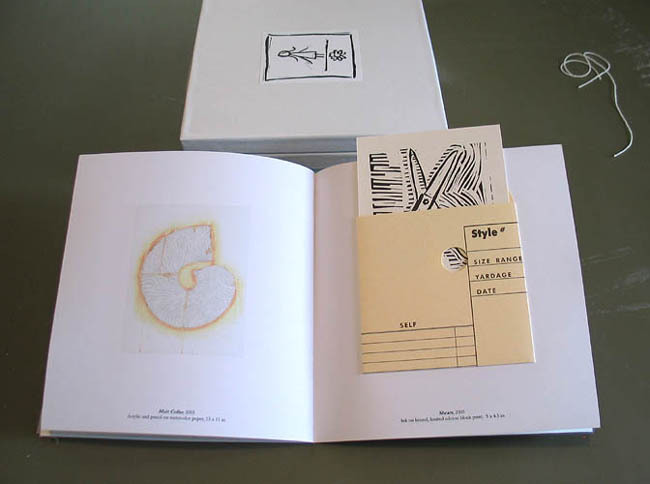 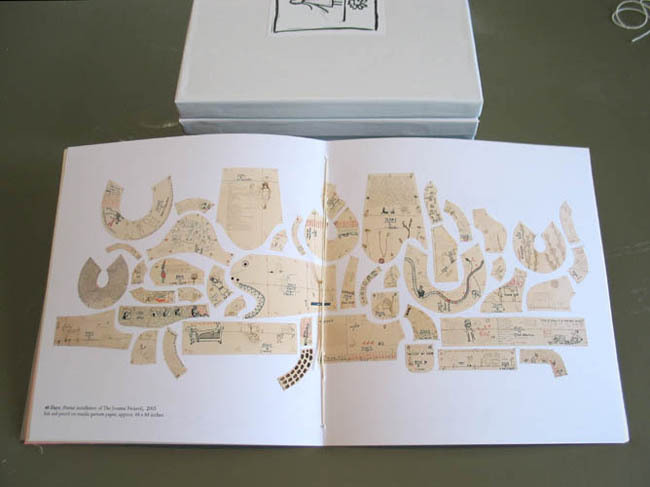 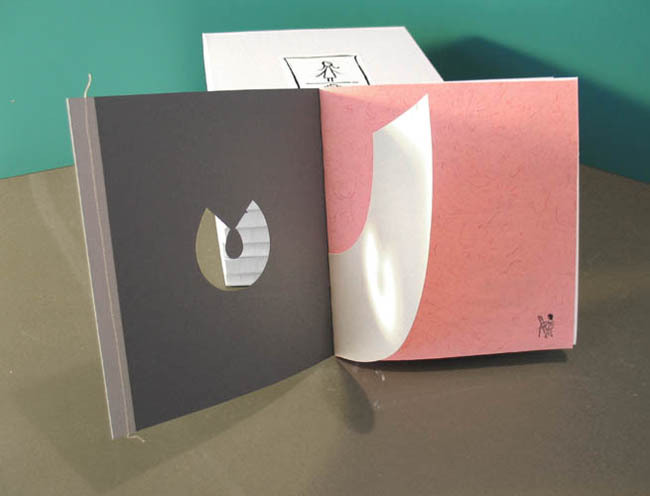 A handmade artists' book and catalog rolled into one. 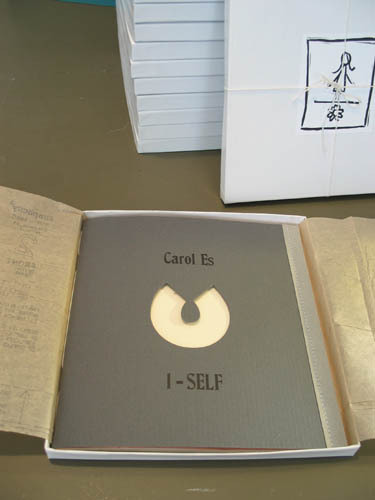 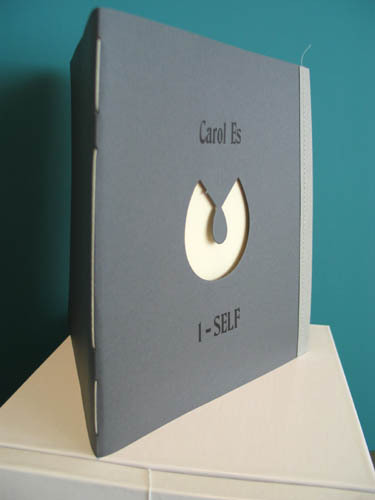 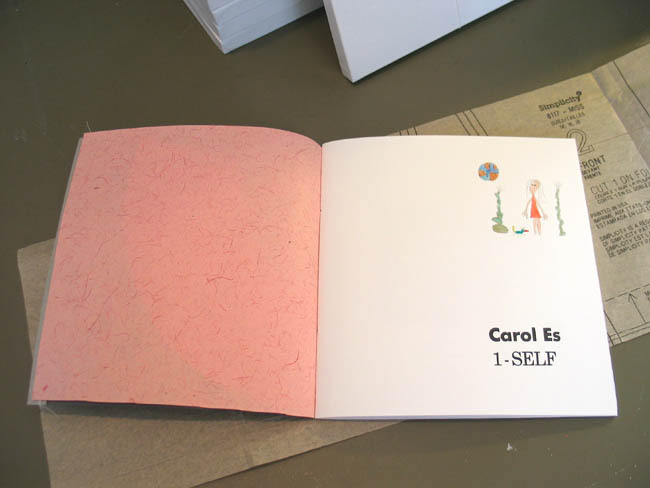 1-SELF (Careless Press) 2005: This title suggests a dual meaning of both intimate self-expression and the artist's pattern-making background, since patterns were often marked "1-self" for manufacturing. 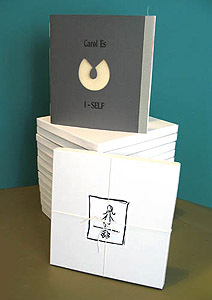 1-SELF was purchased by the Getty Museum, the Arthur and Mata Jaffe Collection, Otis College of Art & Design, The Brooklyn Museum and various private collections. 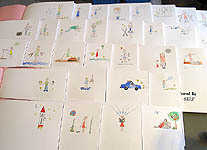 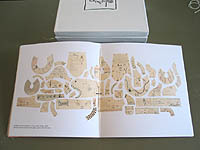 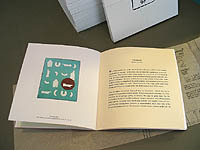 It is also featured in the Bibliotheque Kandinsky at the Centre Pompidou in Paris, as well as UCLA Special Collections. 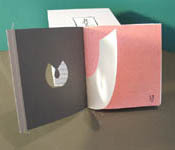 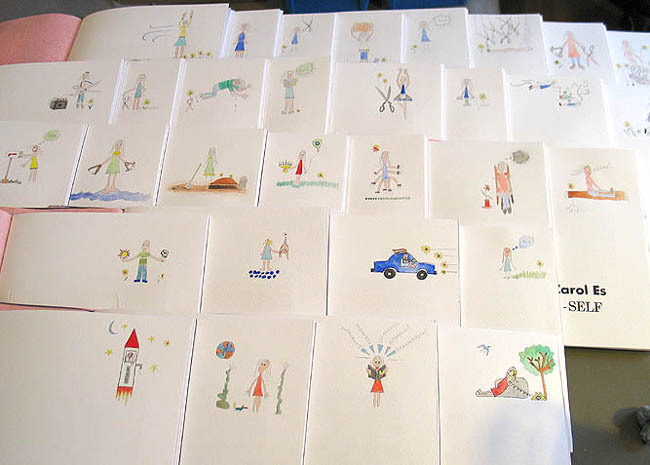 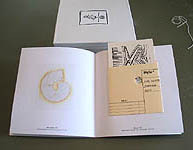 The edition of only 50 copies includes a die-cut letterpressed cover, original watercolor, 14 archival (color) inkjet images, original block print insert, hand-cut collar pattern flysheet, and essays by Shana Nys Dambrot and Kristina Newhouse, with letterpressed quotes by the artist interspersed throughout. 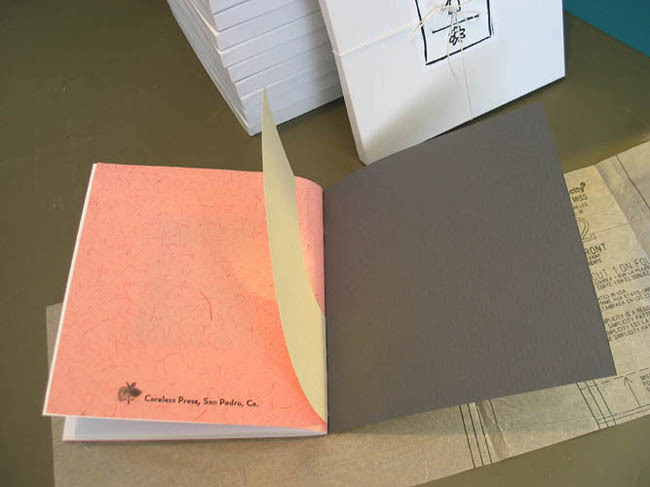 This book is hand-stitched, with a letterpressed Crane's embossed pinstripe cover, and comes in a tissue-type garment pattern lined box with a block print label. 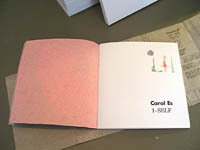 Actual book is 8.5 x 8 inches.